SALT LAKE CITY – Utah coach Larry Krystkowiak received a scare early Thursday when he found out starting point guard Justin Bibbins was dealing with flu-like symptoms. That clearly wasn’t an issue by game time. Bibbins scored 20 and grabbed 10 rebounds as Utah broke a four-game losing streak with a 70-62 victory over Washington. “He pulled a little Michael Jordan, I think,” Krystkowiak said. Utah (11-7, 3-4) muddled up the game throughout the night, but was locked in on defense and kept Washington from finding an offensive groove. 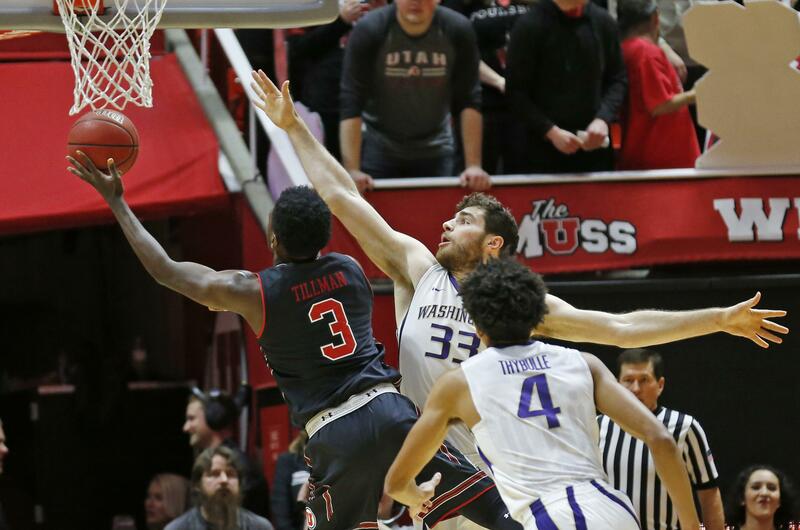 Every time the Huskies seemed on the verge of putting together some type of run, the Utes had an answer – usually from the hands of Bibbins. Washington cut the lead to four late behind Jaylen Nowell’s 17 points, but could never get over the hump. Donnie Tillman grabbed two late offensive boards to help hold off the rally. Washington shot just 38.5 percent from the field, including 2 for 18 from 3-point range, while Utah shot 37.5 percent, but hit 11 more free throws than the Huskies. Krystkowiak and his players lauded the defensive effort. “We’ve had a lack of effort and energy the last couple games,” Utah forward David Collette said. “We just came out and played like we should. Tillman scored 14 and Collette had 10 points for Utah. The 5-foot-8 Bibbins had the game high in rebounds and added five assists. “We came out flat,” Washington coach Mike Hopkins said. “They played like their backs were against the wall. The way the game started, it set the tone. I thought they came out and they just attacked us and played more aggressive and wanted it more than we did. The 24 points were a season low in the first half for Washington. Published: Jan. 18, 2018, 9:32 p.m. Updated: Jan. 18, 2018, 10:12 p.m.